UPDATED: Mon., May 7, 2018, 10:43 p.m. The woman who died in January after a fall at Spokane’s new ice ribbon fell with no warning and on her back. City officials released footage Thursday showing the fatal fall of 63-year-old Lorrie Sims on Jan. 19. She was pronounced dead on Jan. 21. The 20-minute-long video, captured by the ribbon’s south-facing security camera, shows Sims skating slowly, but steadily, by herself for a few minutes before she slipped and fell on her back. The area where she fell was on the ribbon’s south side. Within seconds, according to the video, skaters noticed the woman and stopped to help. About 12 minutes after she fell, paramedics arrived. According to family, Sims was taken to Providence Sacred Heart Medical Center, where she was put on life support. She was declared dead two days later after tests showed “black spots on the brain,” family said. Sims’ younger brother, Arley Roemer, said Monday the family harbors no ill will toward the city or the skate ribbon. He said after the accident, and again recently, that Sims, who was a lifelong ice skater, died doing what she loved. After her death, city officials closed the ribbon for several days. When it reopened, helmets were provided to skaters free of charge. Roemer said he was doubtful Sims would have used a helmet even if they were available. From Dec. 9, when it officially opened, to Jan. 23, there were 53 injuries reported on the ribbon, most of them minor, said city spokesman Brian Coddington. 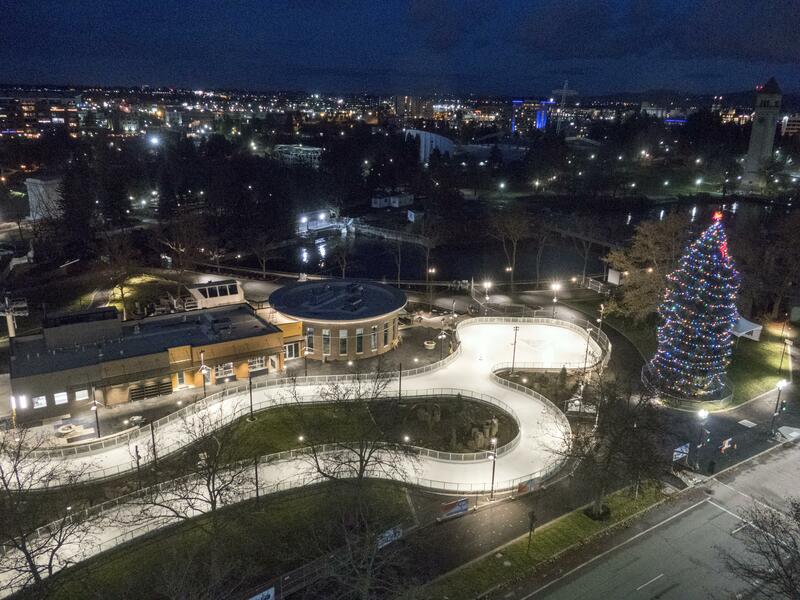 The ice ribbon attracted more than 33,000 skaters in its first month. City lawmakers believe the death was the first rink-related fatality on city property. Published: May 7, 2018, 11:33 a.m. Updated: May 7, 2018, 10:43 p.m.